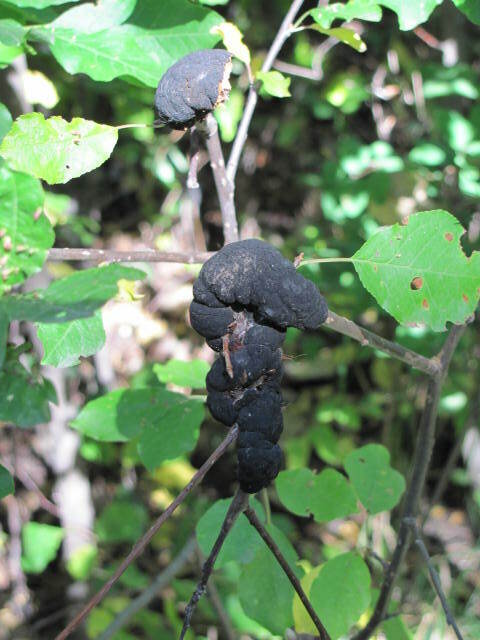 Disease to watch (out for): Black knot fungus. 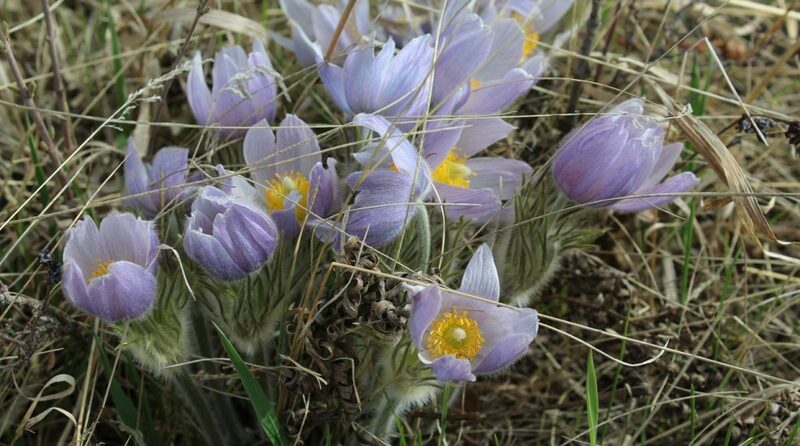 I know I posted this only six months ago, but I’m seeing a ton of this in Calgary right now…sadly, the Schuberts and the gorgeous mayday on the property where we live are now showing signs of affliction. Get those pruners ready, everyone! What on earth is THAT?!? My first instinct was to recoil and shrink to the middle of the path so I wouldn’t risk contamination. No, not really, but way back in September I had my first sighting of black knot fungus (Apiosporina morbosa) in a park in northwest Calgary. You can see why I was a bit alarmed! Black knot is a rather nasty affliction of plum, cherry, peach, and apricot trees, including the stand of maydays and chokecherries I was gawking at. Black knot fungus definitely isn’t pretty. It takes a little while to get to the stage I was examining – over a year, in fact. Spread by wind and rain, fungal spores infect the bark of Prunus species in early summer and linger there until the following spring, when they cause the bark to swell into a green knot. The fungus releases more spores as the tree leafs out and blossoms, and the knots slowly blacken as summer moves into autumn. Afflicted trees can die if left untreated, as the knots slowly strangle the branches, restricting the movement of nutrients and water to the tree. Apparently, the best treatment for black knot fungus isn’t chemically-based. Pruning is the most effective option, and should be undertaken over a period of several years to ensure that the fungus is completely eradicated. 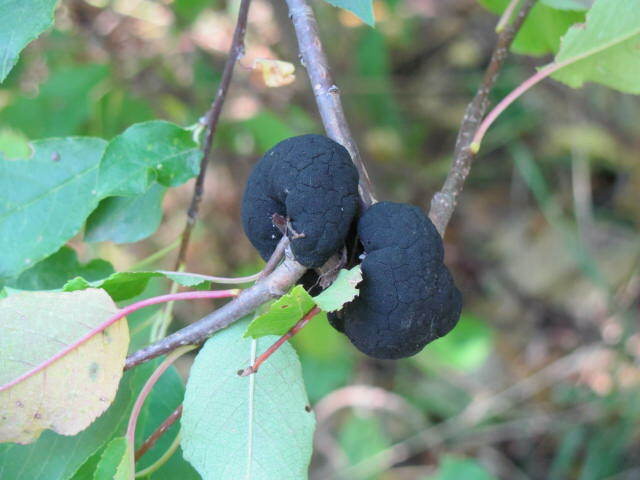 For some tips on how to cut away black knot fungus, check out this fact sheet offered by Alberta Agriculture and Rural Development. The trees I saw were heavily infested, but hopefully pruning will save them! Have you ever had a problem with black knot fungus? Did you successfully combat it?